The band wore mod-style 1960s period "rude boy" outfits (pork pie hats, mohair suits, and loafers). In 1980, their song "Too Much Too Young", the lead track on their The Special AKA Live! EP, reached number one in the UK. In 1981, the unemployment-themed single "Ghost Town" also hit number one in the UK Singles Chart. After seven consecutive UK Top 10 singles between 1979 and 1981, the band broke up in 1984. A version of the band reformed from 1994-2001. In 2008, the band reformed again and, in2009, embarked on a 30th anniversary tour. In 2010, they toured America and Europe. In 2011 they agained touring the UK. In 2008, The Specials officially announced that they would reform and embark on a 30th Anniversary Tour in 2009. 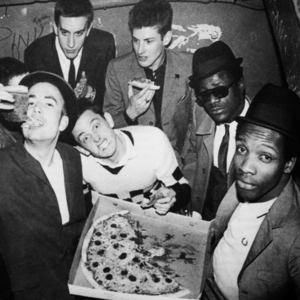 The founding member, Jerry Dammers is not part of the newly reformed Specials and relationships between him and the rest of the band are still sore, particularly on Dammers' side of things.